Happy Monday, book nerds! We’re at the start of the second week of Ah-MAY-zing Reads and we’ll be having Huntley Fitzpatrick for another slam book interview. What I Thought Was True was released a few weeks ago but if you have yet to pick it up or grab a copy, you can learn more about the book and the author behind it today. This has got to be my favourite interview thus far so I’m extremely excited to share it with y’all! Celebrity crush – Very hard to narrow down. I have six kids, five of which are girls, and we actually discuss this and argue all the time. “He’s mine.” “I saw him first.” It’s very mature. Right now, I’d have to admit to complete fondness for Zac Efron. His SNL appearances are brilliant—as are his lovely eyes. And he has that off-handed charm. Movie that made you cry – I always cry during BENJAMIN BUTTON, at the end, where he reads the letter to his daughter: the end goes like this: “I hope you live a life you’re proud of. If you find that you’re not, I hope you have the strength to start all over again.” Tearing up right now. 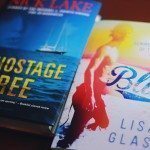 Contemporary read – We Were Liars, by E. Lockhart. THAT book made me cry. Brilliant, beautiful, heartbreaking, and real. One writing quirk of mine would be… This amazing blogger friend of mine sent me a mug called ‘The chicken mug’—it looks like a porcelain chicken. She told me it would ward off writer’s block and general stress. I am unable to start typing on the computer without the chicken mug nearby, filled with coffee or tea or water. When I run out of words, I stare at the mug and they always come to me. What I Thought Was True is set in summertime. Why do you think summer romances are so popular when it comes to YA novels? So many reasons… Summer is the space between—and so is YA—between childhood and being a grown up, one school year and another, sometimes, if you travel, one place and another—a time of both memory and possibility. One summer can change everything about who you are and who you want to be. Gwen sounds like a very interesting protagonist, dealing and figuring out a lot of stuff. What can you say about her struggles and her character development through out the story? Gwen is a character I’m really fond of. She’s such a mix of hope and fear, bravery and insecurity. She has a sarcastic inner voice, but she’s all heart and optimism at her core. She comes from a background of people who think what has been is what will always be, and she’s struggling to believe that isn’t true. That she can begin again, with herself and the boy she loved and lost. We want to know more about Cass, Gwen’s love interest! Could you describe him for us? Complexities, when it comes to love and families, seem to be very prominent in What I Thought Was True. How could you relate those complexities in your novel to those in real life? I once heard a description of Noah’s Ark that went like this “We could never stand the struggle within if it weren’t for the storm without.” Families are like that, for me, full of complications and drama and conflict, but also full of peace, complete understanding, and acceptance. They are impossible, sometimes, no matter how wonderful, but they are also our safest place. Infinite thanks to Huntley for that wonderful interview! Cannot wait to read your ah-may-zing novel and meet Gwen and Cass! Book nerds, don’t forget to add What I Thought Was True to your to-read shelves! Looking to follow Huntley? 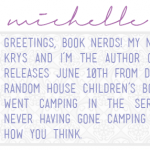 Check out her website, Twitter, Facebook and Goodreads! I am LOVING Ah-MAY-xing Reads 2014! 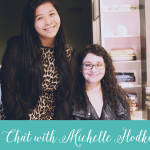 Thank you for sharing this awesome interview with us :) I want to read What I Thought Was True because I LOVE YA contemporary romance books, they make me so happy. I'm looking forward to reading What I Thought Was True because I haven't read any book from the author yet, and I've been told My Life Next Door had showcased the good relationships between the family. I want to see that element in this one too! I absolutely loved My Life Next Door so I can’t wait to read What I Thought Was True! Really enjoyed this interview! Great questions which made looking behind the scenes a pleasure. Thanks for sharing! I was pleasantly surprised by how much I loved My Life Next Door & I’m very much anticipating anything Ms. Fitzpatrick puts out. I love her characters they are real. I’ve enjoyed do much her first book that I’m sure I’m going to enjoy this one. One of my favorite of all time authors! If you haven’t read her – run don’t walk and grab her books. She may only have a couple but that are a great couple. I was excited for What I Thought Was True because I LOVED My Life Next Door! 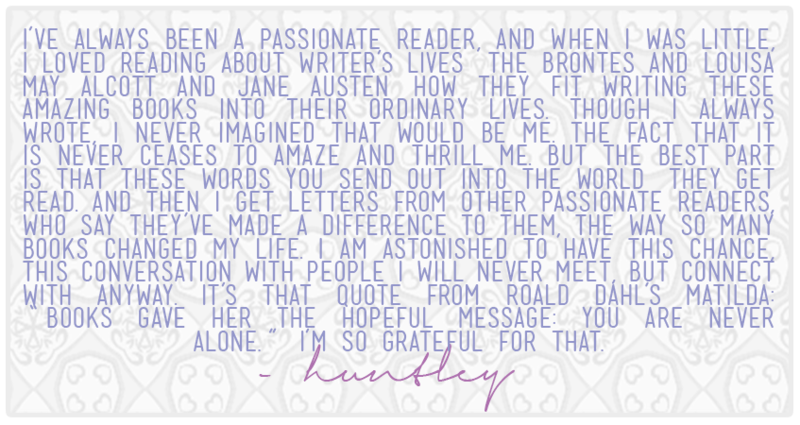 Huntley is now one of my favorite writers, her style just speaks to my heart. And now I can wait to go back with Tim’s story! I’ve already read and reviewed this book. Huntley absolutely blew me away with My Life Next Door and I couldn’t help but fall for Gwen and Cass the dame way I did with Jase and Samantha. Well, what I’m really excited about reading this novel is the fact that I’ve never read anything about surfers. So there’s that big secret! Plus, I’m trying to invest a lot on authors that are pretty new but are starting to gain a lot of attention! Good job Huntley! Oh, I love this interview so much! Definitely agree with Zac Efron for celebrity crush 100% and I love the story about the letter from the boy! That is so sweet and adorable!! I haven’t even read My Life Next Door yet but since it’s summer soon, I think I might marathon these two books. 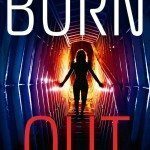 What I Thought Was True sounds fantastic and I’ve been hearing a lot about Gwen who I think sounds like such a strong character! This is a fantastic interview! I love her answer about summer and YA being that middle state in life; that’s way deeper than I ever thought about. I just finished reading My Life Next Door and I’m really looking forward to reading more of her works! I’ve heard a lot of great stuff about Huntley Fitzpatrick’s My Life Next Door which is why I’m really excited about What I Thought Was True. I am dying to read What I Thought was True because I read My Life Next Door around this time last year and still think about it to this day. It was probably one of my favourite books of 2013! I love Huntley’s writing and the family dynamic is done so well. Thinking about her books just makes me happy! This sounds like a promising, awesome summer romance. I love the cover. I am so stoked! I’ve had this on my TBR list since I saw the awesome cover. I really enjoyed My Life Next Door! I’m looking forward to reading more from her! I love summer romances! Because I am such a huge fan of Huntley’s. I would most likely read her grocery list if she let me. The plot and the cover are beautiful. Just everything about it makes me excited. Thank you for the chance. huntley fitzpatrick’s books are awesome and it’s so riveting that i can’t get my hands of the book without finishing it! 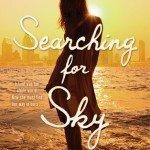 I’m a sucker for summer romance or anything set during summer so definitely I’m looking forward to how the romance would play out in this novel. I just loved, LOVED My Life Next Door! SO excited to read this one because I adore books like this! I’m excited to read this because I love the cover and the title of the book. It has got high ratings, I must read it. The better question is, why aren’t I excited for WITWT? I’ve had the pleasure of getting to know Huntley well and she’s lovely, plus I loved My Life Next Door. I’m excited because I read My Life Next Door by her and I absolutely loved it. I absolutely adored her first novel. It was one of my favorites of the year! I’m so very eager to read her next of course! I’m so excited to read this book because oh my it was written by such a great author that just simply blows my mind on her creative writing and how everything is so free flowing. Also, the title itself and book cover is very intriguing and more on eye catching! It’s great! I love it! I honestly haven’t read MY LIFE NEXT DOOR but I’ve been hearing nothing but praises for that book so both are on my wishlist! Huntley, I love Zac Efron too! From what I can tell, he’s a nice, well-rounded guy. And of course, let’s not forget those abs. I’d like to see if I’d end up liking What I Thought Was True as I did The Summer I Turned Pretty (another novel set in the summer). I’m super excited to read this book because I’ve heard nothing but amazing things about My Life Next Door, so I’m really interested in reading a book by Huntley Fitzpatrick! I loved MY LIFE NEXT DOOR and I can’t wait to read this book. 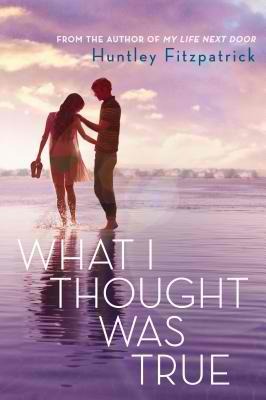 I enjoy summertime romances set for a novel, definitely look forward to this book. TBH I haven’t read her first book, but I’ve heard a lot of good things about it. Anyhow, Gwen seems to have a lot going on in her life, and I’m curious to know more about her and Cass! Plus I enjoy reading about family issues.. I think this is a really beautiful interview, Huntley sounds like a very nice person :) I love the quote she mentioned at the end. Thanks for sharing! I’d like to read this book because it sounds interesting, and I have heard great things about Huntley Fitzpatrick’s books.